What happens when man’s best friend goes missing at sea? 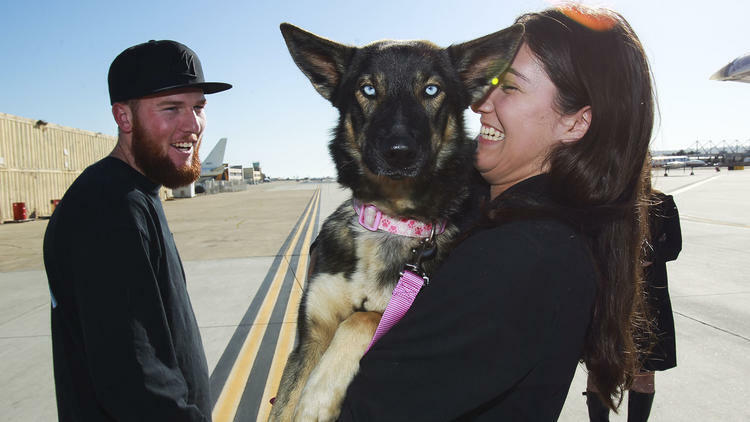 As reported in this week’s L.A. Times, San Diego fisherman Nick Haworth was crushed when his beloved German Shepherd, Luna, disappeared on February 10, while he was working two miles from San Clemente Island, a Navy training site. At first, Nick was optimistic that Luna, a strong swimmer, would make it to shore. When weeks passed and searchers found no trace of the dog, Nick feared the worst. Imagine his joy when Luna turned up at the training facility this past Tuesday, a bit thinner but otherwise in good shape. While my human mom and dad, Eugenie and Lou, like to think they lead our pack, truth is, they sometimes forget the rules and let a certain strikingly handsome pit bull take the reins. In a recent newsletter, dog behavior guru Cesar Millan lists some of the key signs that your pack hierarchy might need fixing, among them: letting your pooch eat before you do, giving him free run of the house (like the bed and sofa), having a dog that pulls on the leash during the walk, and a dog that ignores your commands. i.e., refusing to ‘come’ when being asked to leave the dog park. For the full list of no-nos, and how to correct the imbalance of power, read the article. 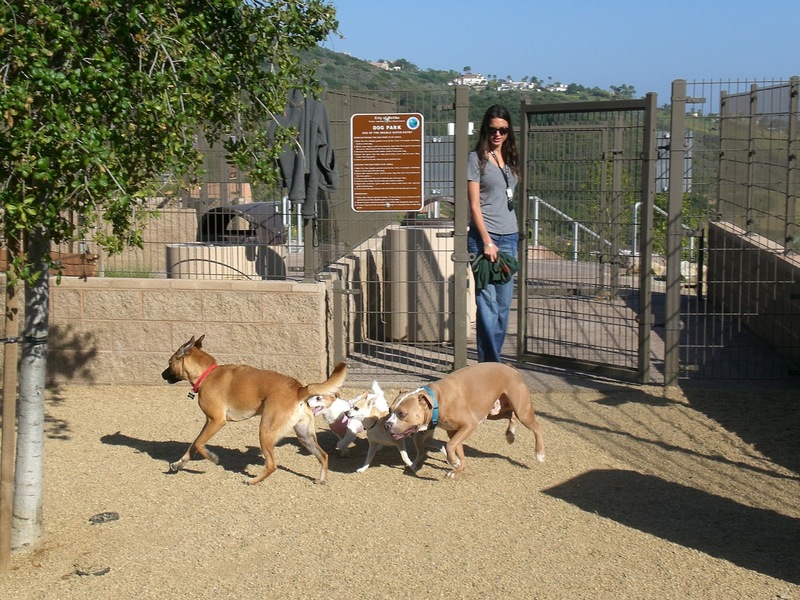 Speaking of the dog park, as many of you know, we’ve been regulars at the Trancas Dog Park since it opened in July of 2010. Except for super warm days and rare rainy ones, we make it a point to join the ‘4 o’clock gang’ – Bobby, Cocoa, Rusty, Rocky, Lady, Magnus, Zoe, Alfie – as often as possible. While we dogs do the usual sniffing, running and wrestling, our humans trade gossip and local news. Yesterday brought a nice surprise when a newcomer told Lou that she had just purchased GIMME SHELTER from our soon-to-be-extinct Bank Of Books. While she didn’t recognize the writer (time for a new author photo? ), she did recognize the cover dog! Thanks to her and to all of the people who’ve made the book such a positive, fun experience .